Reverse Adoption - Can an Adopted Child be Returned to Birth Parents? A recent case from a New Jersey appellate court illustrates how courts approach determining whether a mother who has given up her baby for adoption can later void the adoption and regain parental rights. Continue reading to learn about the reverse adoption case, and speak with an experienced New Jersey family law attorney to address any questions you may have about the adoption process. Per the Act, a birth parent may voluntarily “surrender” all parental rights in order for the child to be adopted. For a surrender to be valid, an approved agency must first inform the parent(s) of the legal effects of surrender, explain that surrender “means the permanent end of the relationship and all contact between the parent and child” and “offer counseling to the parent.” A valid surrender is irrevocable except either (1) at the discretion of the adoption agency or (2) if a court finds the surrender was invalid due to fraud, duress or misrepresentation by the agency. In a case titled In the Matter of the Adoption of a Child By R.C.W. and S.M.W. (No. A-2907-17T3), the New Jersey Appellate Division considered a birth mother’s attempt to reclaim rights over her child after giving the child up for adoption. The birth mother, 19 years old and about to begin her freshman year of college, decided adoption was the best course of action for the unplanned child. She consulted with an adoption agency and, upon the baby’s birth, signed the papers to give up the child for adoption. A month later, she told her family about the adoption and, with their encouragement, sued to get the child back. 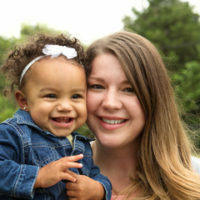 She argued that the agency failed to tell her about alternatives to adoption, such as applying for government assistance, and also failed to meet the counseling requirements under the law, although the agency’s appointed counselor disputed the mother’s testimony about their meetings. The trial court agreed with the birth mother that the agency’s failure to follow the administrative rules under the Act amounted to misrepresentation and ordered the adoptive parents to return the child. The Appellate Division reversed the trial court’s decision. The appeals court explained that the trial court’s hearing mainly relied on its resolution of the conflicting testimony between the birth mother and the agency’s counselor, as well as its view that the agency’s failures constituted misrepresentation. The appeals court did not resolve the factual dispute, but instead found that the failure to tell the mother about the available assistance did not constitute “misrepresentation” sufficient to invalidate the mother’s surrender, especially because the mother did not prove she would even have qualified for the programs. She understood the legal effect of surrender, which is the primary purpose of counseling. Moreover, the trial court failed to focus on the best interests of the child. By the time of the court’s decision, the child was over eight months old, and the appellate court found that taking the child from the only parents it had known to return it to “virtual strangers” would be emotionally harmful. The opinion is nonbinding as precedent but is still useful as an illustration of how courts evaluate these issues. If you’re in need of skilled, compassionate, and experienced legal help with a parental rights dispute in New Jersey, contact the Union offices of family law attorney John B. D’Alessandro at 908-964-0102.